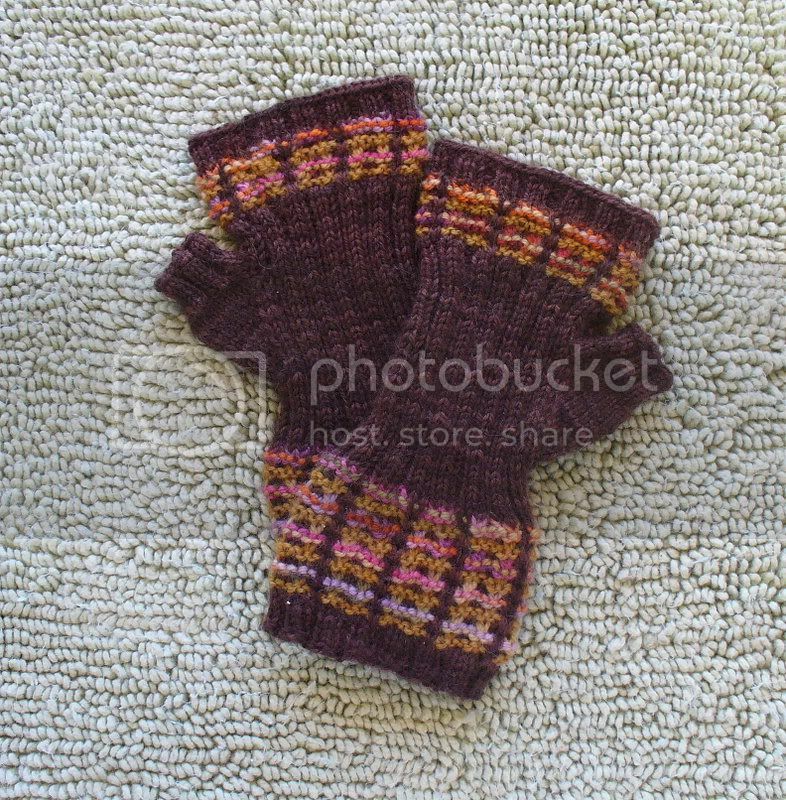 This was such a fun sock to knit! 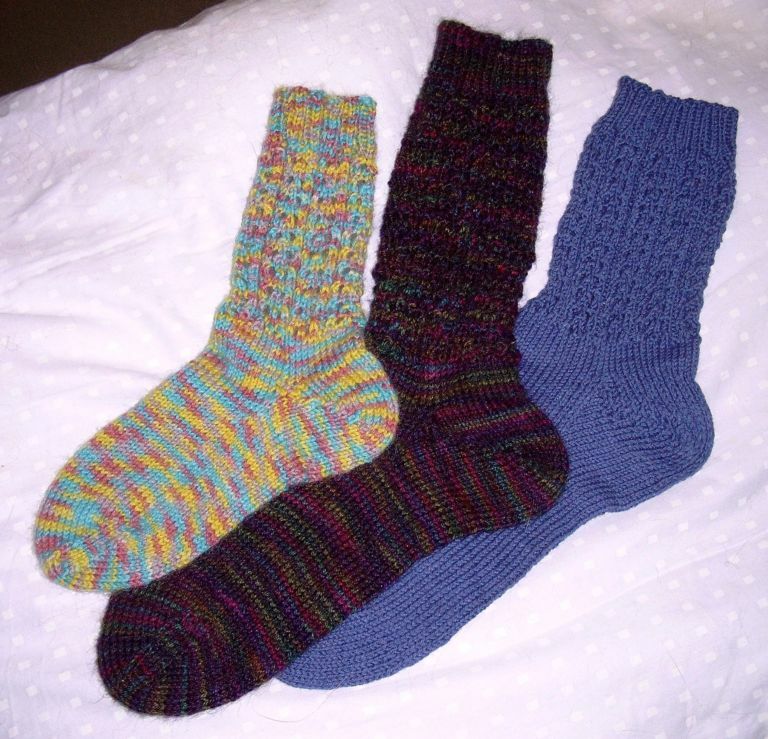 To an experienced sock knitter like me I didn't think these "simple" patterns would have a place in my sock library but the patterns are lovely, fun, interesting and like eating potato chips, you can't stop at knitting just one! This was also my first experience with Emily Parson's Sophie's Toes sock yarn - total LOVE!! Complete info and deets here. Next up more socks....shocking, innit? One of the Sockdown! 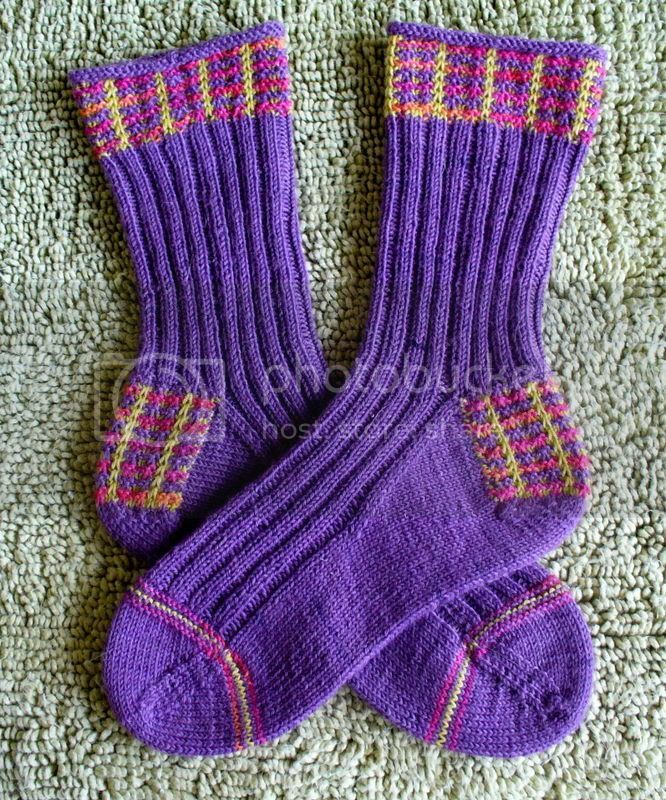 October challenges for my Sock Knitters Anonymous group was a designer named Stephanie van de Linden. Steffi is a very talented and prolific designer so choosing which sock to knit was really hard but anyone who's visited Chez FKD knows we loves us some beaded knitting around here so of course we chose the pattern with some pretty beadwork! The yarn is the much missed Cider Moon Blizzard in the Banana Cabana colorway. These were a gift for my doctor who is Indian so I thought the much maligned yellow would look gorgeous with her dark skin and hair.....nevermind the fact that in the 2 years she's been my doc I've only ever seen her wear khaki slacks, black loafers and a black button down shirt! When I gave them to her I told her it was time she got a little color in her life and boy did she! 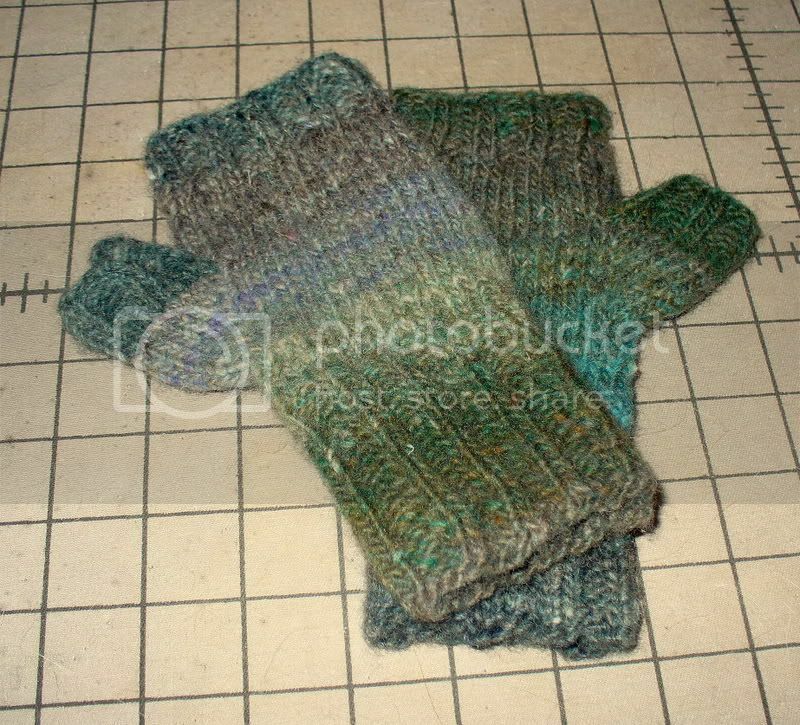 And thus ends the knitting for 2008. 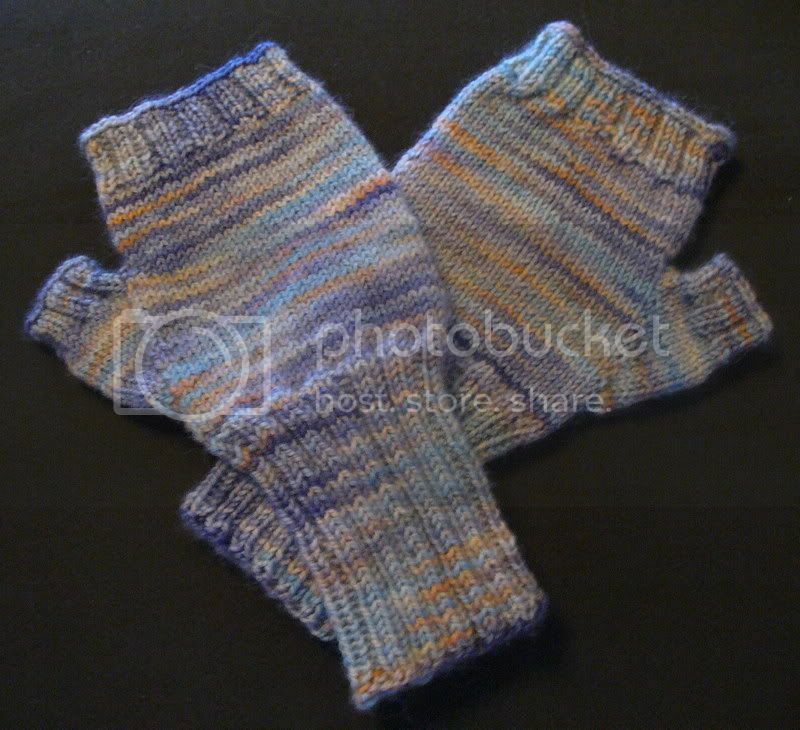 Now to ring in the new -- the first FO of 2009! Allow me to introduce you to my Ready for Spring Firestarters! Marjan, aka Yarnissima was the SKA featured designer for December. 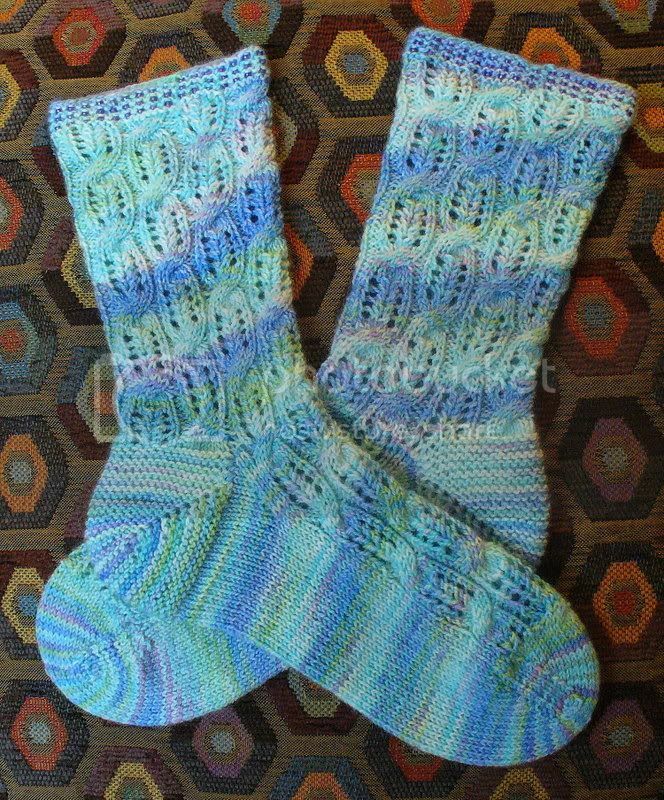 I've had these beautiful socks on my "To Do" list for forever and I'm so glad I finally took the plunge! The yarn is Yarn Pirate Bamboo/Merino/Nylon - it is a pure delight to knit with and the color just shimmers and glows! The sock design is so unique, and while I admit I had a few hair raising moments I really enjoyed every single stitch and am completely in love with the finished object! I've been troubled by the carbon footprint the use of disposable water bottles causes to our one and only Planet Earth so I've searched and searched for something that was reusable, HEALTHY (no PVC, or leaching of chemicals) durable, practical and KEPT MY WATER DRINKABLE ie: not bathwater warm, YUCK!! 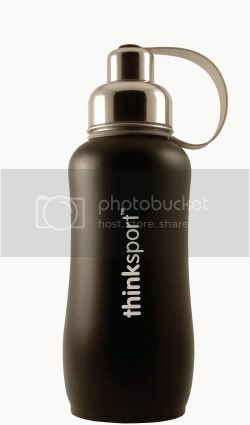 Well let me say that my ThinkSport bottle is THE ONE! This thing costs about $20, is indestructible and I have left it for TWENTY FOUR HOURS and still the water inside was cold and refreshing!! I can't sing the praises of this product highly enough! Give yourself (and your planet!) a healthy 2009 present and go get yourself one! Yea!!! A FKD Post! Love the socks and thanks for the water bottle suggestion. Keeping it cold is just about my biggest issue. I loved those bright yellow socks so much when you posted them on SKA. I'm sad that the yarn isn't available anymore. yay for finding a great water bottle. I have had a SIGG bottle for many years before even knowing that the other plastic types could leach chemicals. I love mine to pieces! Happy new year and I can't wait to see what your new big cast on will be. Love the way the Basket Check sock pattern breaks up the stripe of the yarn. No pooling there...great job on that sock and the others, too! Your new socks are gorgeous. I agree that Sophie's Toes sock yarn is great stuff! 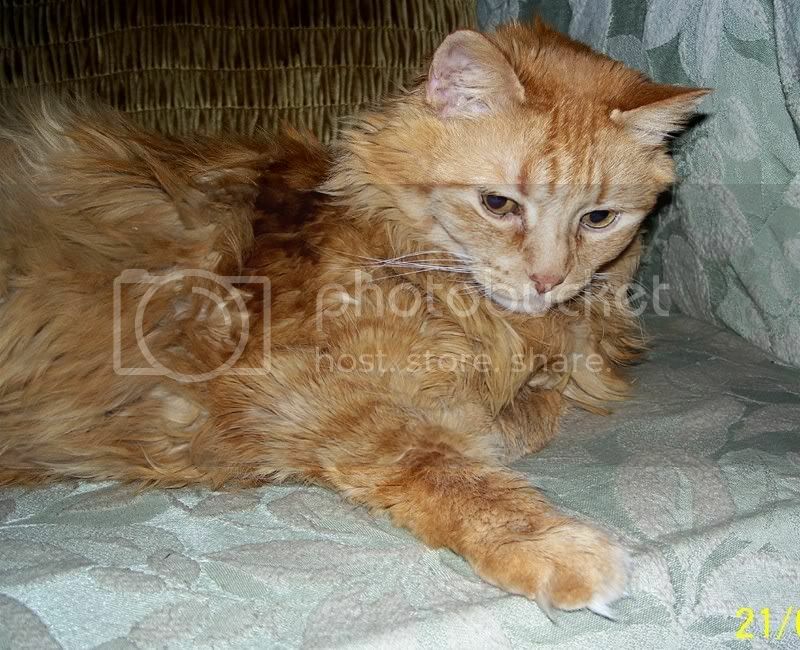 Glad to see you posting! The socks (as always) are lovely! I've got the Firestarters on my "must do" list. Thanks for the heads up on the bottle. I can't stand lukewarm water and that might just be the ticket. All the socks are gorgeous and P-Man is cute as a button as usual ... but the bottle is the great find! Great, really ... thanks. I'm a fairly new sock knitter. By no means do my socks look as nice as yours. 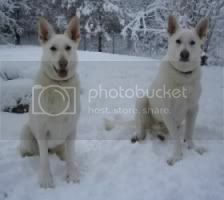 Their beautiful! 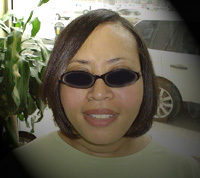 Wow, Debi! Each pair is more beautiful than the next. You've been a busy little clicker, haven't you? Kudos! Funny thing about the water bottle. I just bought one, too, though not the same brand. I'll look into it. yayy!! 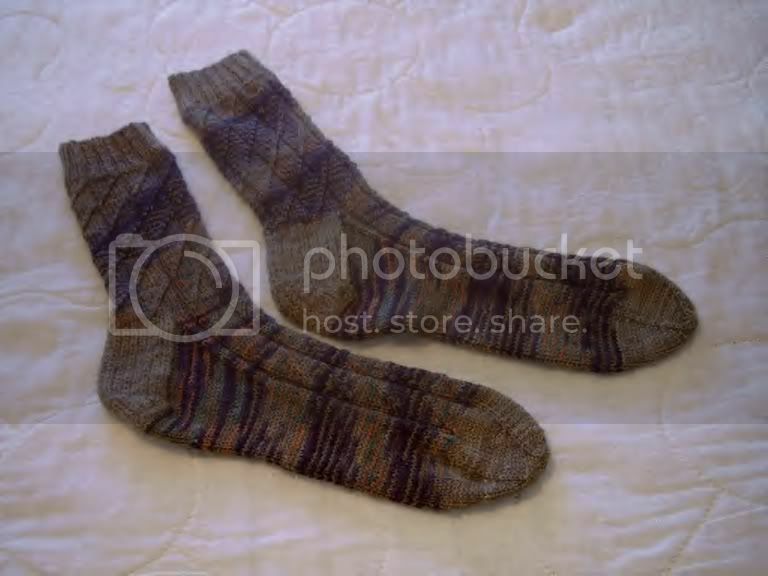 I miss reading your posts :P And am so glad to see so many socks at a go! I have the lil box of socks too and I can never decide which pattern to do first... looks like you helped me decide! :D Happy new year to you, and may you and your family, and dear P-man, have a wonderful year ahead! Hey there, Happy New Year! I love all the socks. Your notes are invaluable. La Cabeza Grande said it all. I'm on my way to check out that bottle. I never buy bottle water. Have Brita here at the house. we have filtered water at work. But I always have a bottle in the car. I am using a great pink one now. Take care and keep posting. All great looking socks, but my favs are the basket weave ones! Total LOVE! Happy New Year! Lovely Loose ends! Happy New Year! Have you ever tried exercise DVDs around the P-Man? When I pop in a bellydance DVD, Merlin and Morgana play Catch Mommy's Arms, Cling To Mommy's Feet, and Hey, Wanna Cuddle? It makes for very interesting exercise all around. Oh, and situps are so much more interesting when your cat decides you need extra weight on your chest! Fabulous socks!! I tend to knit the same old all the time. But, you have inspiredme. 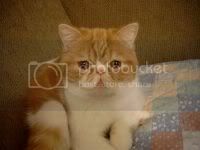 I love your kitty. I just ordered that bottle. I have never heard of it, but it's exactly what I need to keep my green tea yummy at work. Thanks!